Following the Japanese occupation of Hong Kong during World War II, many farmers were destitute and unable to produce sufficient food for the enormous influx of refugees. 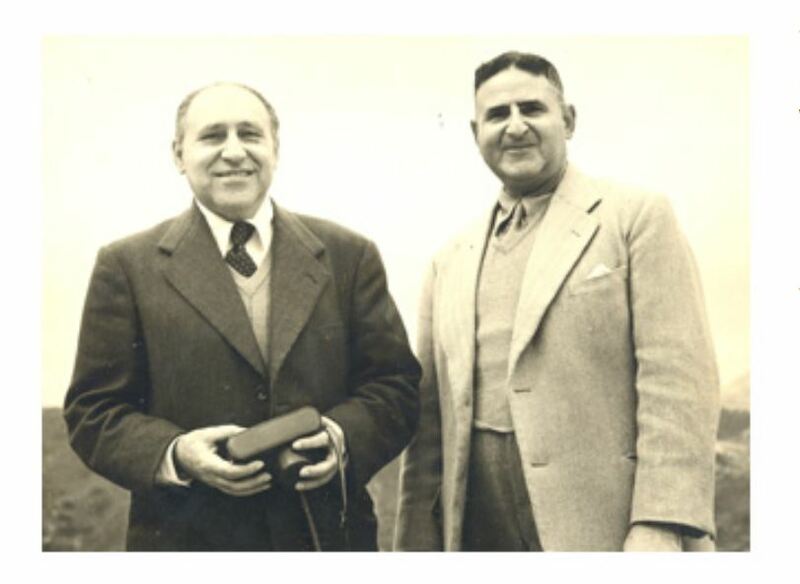 In 1951, Hong Kong businessman Lord Lawrence Kadoorie and his brother Sir Horace Kadoorie, formed an agricultural aid project to provide assistance and encouragement to local farmers. 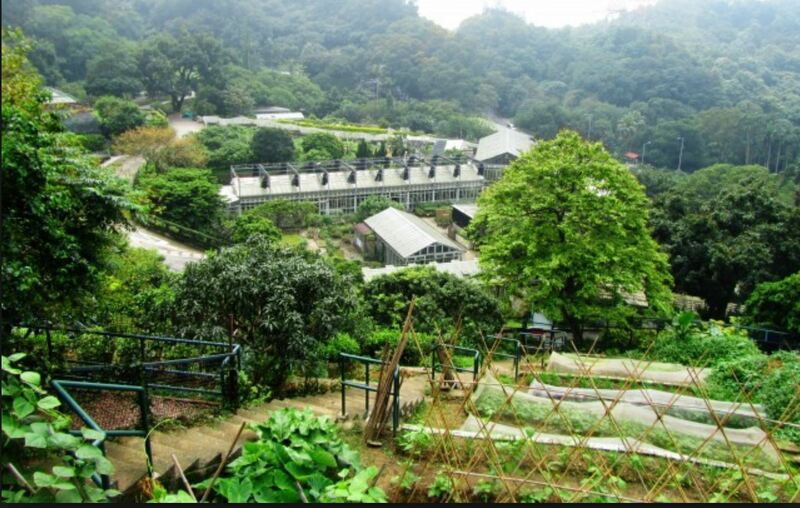 The Kadoorie Farm and Botanic Gardens were established ten years later, on the steep slopes of Kwun Yum Shan (The Goddess of Mercy Mountain), near the town of Tai Po in the New Territories. The site was selected because Lord Lawrence had noticed a lone tangerine tree growing successfully untended high on the slopes. 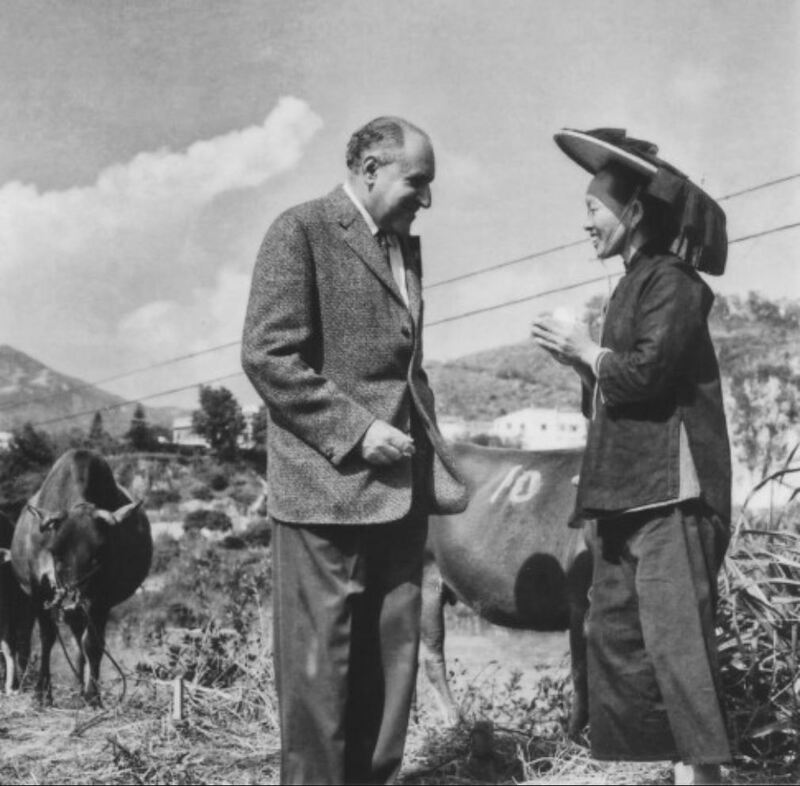 A large proportion of Hong Kong is mountainous and the brothers wanted to prove that farming such areas was feasible. Ironically, existing terraces on Kwum Yum Shan had been used to grow tea centuries earlier, when tribal wars drove villagers from their homes in the valleys. 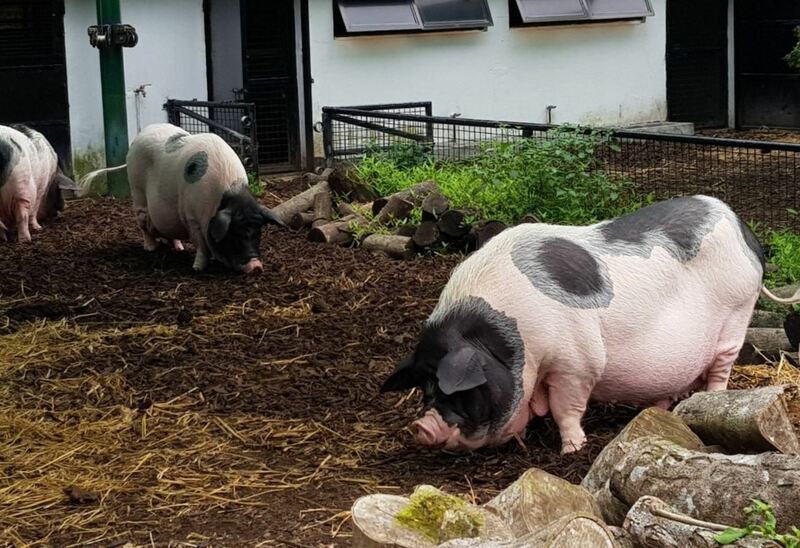 The farm has also played a major role in developing better farming methods, through livestock breeding programmes and the propagation of higher yielding seeds and plants. The natural beauty of the Mountain has been enhanced by the extensive planting of indigenous and exotic flora. There are special collections of camellias, bougainvilleas, hibiscus and orchids. Magnolias are under planted with azaleas and rhododendrons and there are wonderful specimems of the Chinese Crepe Myrtle. Well known plant photographer Stirling Macoboy made numerous visits to the mountain, photographing its trees and flowers. At the base of the Mountain are pig and poultry pavilions, extensive herb and vegetable gardens and terraced orchards. Greenhouses contain exotic plants such as gloriosa lily and the spectacular, Heliconia rostrata, known appropriately as ‘lobster claws’. 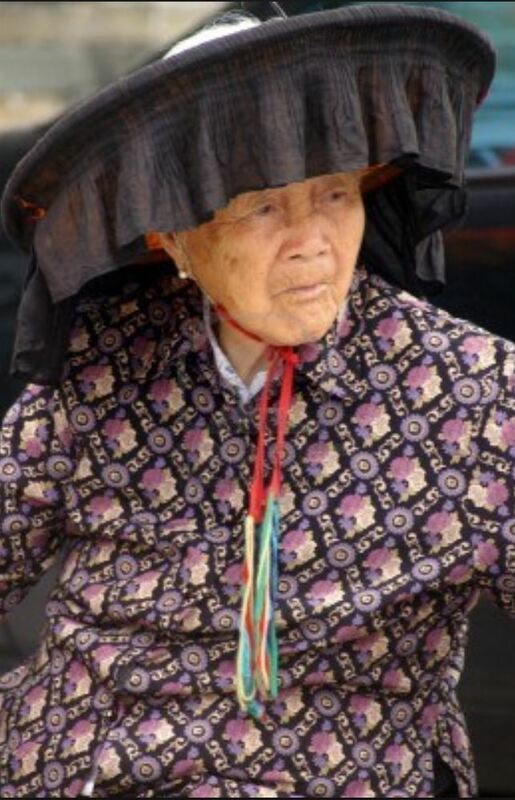 The gardens are tended by villagers, including elderly Hakka women, whose ancestors were already farming the New Territories during the Ming Dynasty, which began in 1368. The women still dress in traditional black pajamas. Their broad straw hats have a distinctive 6cm ‘skirt’ of black fabric which makes an effective sun shade and discourages flying insects. Orchards, vegetable gardens and livestock pavilions have been established all the way up the mountain but there are also natural mountain flora reserves and classical Chinese gardens with interesting rock and water features. In periods of heavy rain, excess water runs down steep concrete drainage channels, cleverly constructed to act as footpaths during fine weather. The walk to the mountain’s 549 metre summit is demanding, but there are quiet pavilions along the way, surrounded by the fragrance of Chinese jasmine and gardenias. Tiny paths lead off the main road to hidden grottoes with waterfalls tumbling into ponds; sometimes large enough for visitors to bathe in. The dove and pigeon lofts at Kadoorie are works of art. They include highly decorated miniature ‘pavilions’, some supported by fantastic, mythical beasts with horned dragon heads and bodies covered in golden scales. Elsewhere there are raised, wooden beehives, carefully labelled with Chinese characters and surrounded by flowering shrubs. High on the mountain is the beautiful Golden Pavilion, approached by a winding cobbled path through trees and shrubs. It would be difficult to find a more peaceful spot on earth. It is a joy to sit and rest a while here before going on to the summit. According to Chinese mythology a dragon lives within every mountain but on Kwun Yum Shan you might even see one breathing! The phenomenon is actually caused by the geological ‘honeycombing’ of the mountain. Warm air enters at its base then rises, emerging as steam in the cooler air of the summit. Two natural air vents are surrounded by stone circles, built by ancient worshippers and still venerated by local people. It was late spring when we visited and sacred bamboo was flowering around the circles. Attracted by nectar, enormous bumble bees and hundreds of iridescent blue beetles were covering the plants’ yellow-centred white flowers. FOOTNOTE – While we were rattling along on the bus we passed an elderly lady sitting in a remote location with a basket of chokos for sale. For some reason this really upset me. I simply could not imagine anyone stopping to buy any. During the day I would think about her and feel heartbroken, despite Rob telling me not to be so silly. Anyway, on the way back hours later we saw her again…..and someone was buying chokos!